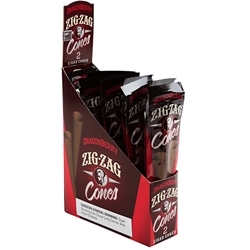 Enjoy the slow, even burn of Zig-Zag Cones in a refreshing blend of dragon fruit and berries. Zig-Zag's unique flavor system and resealable foil pouches ensure fresh flavor every time. Try them here at Smokers Discounts!